IF YOU LIKE THE MUSIC SAMPLED HERE, PLEASE SUPPORT ALL ARTISTS BY PURCHASING ORIGINAL MATERIAL. BONUS: Pitbull & Honorbel - Now U See It LINK REMOVED CLUB BANGER ALERT! 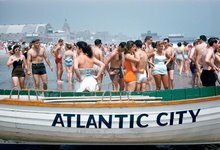 The links below direct you away from Atlantic City Beats. No responsibility is held for content of outside sites or blogs. Where I Work... the station links! Minimize the page and enjoy great beats! Many of the songs and items I post are from my own personal collection. However, occasionally I find items from the internet, websites and other blogs. I most always try to give credit. If you feel displeased with any post on AlanticCityBeats or you are an Atrist who wishes your content deleted, please contact me at the e-mail on the top of the page, and the link will be removed.